Stale debt is a term used to describe a debt that is no longer collectable because the statute of limitations has run out on it. The statute of limitations on collecting debt varies from state in state, and in California it is four years on paper debt and two years for oral contracts. 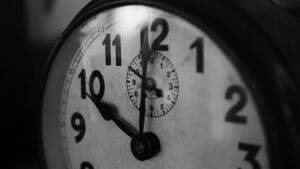 When a statute of limitations runs out on a debt, and the creditor fails to collect or attempt to collect, the debt becomes time barred, and it cannot legally be collected. Once a debt is time barred, one would think that it is no longer collectable. But across the country businesses buy consumer debt at pennies on the dollar, and then attempt to collect those debts using courts of law. These ‘debt collectors’ are subject to a powerful federal law known as the Fair Debt Collections Practices Act (FDCPA). The FDCPA protects debtors from unlawful attempts by debt collectors at collecting a debt. It is unlawful to collect an unenforceable debt, like stale debt which is time barred by a statute of limitations. But many debt collectors get around the FDCPA by filing a proof of claim during the bankruptcy of a debtor, and then collect some amount on the debt. This end run around the FDCPA is particularly popular in Chapter 13 bankruptcy claims. The reason they are popular with Chapter 13 claims is because those procedures are generally used by debtors who come up with a plan to repay all or a part of their debts under the direction of a court. Once a claim is filed in the plan, it will be paid (at least partially) off. This case, Midland Funding LLC, v. Johnson presents two different debtors who went through Chapter 13 bankruptcy. In both of bankruptcies debt collectors sought to file claims on time barred debts. The claimants responded that not only were the debts time barred and stale, but that trying to enforce them violates the FDCPA. Now this question is before the Supreme Court to decide: If a debt collector tries to file a claim under a bankruptcy on a time barred debt, is that a violation of the FDCPA? This is a big deal and important question for a number of reasons. For one, it resolves whatever conflict there is between the Bankruptcy Code and the FDCPA. Second, when a collector violates the FDCPA, the debtor is entitled to money damages as a matter of law because of the violation. Finally, the answer to these questions would have a big impact on the debt collection business going forward. As you can see, there is a lot on the line with this case. This case illustrates how complicated bankruptcies can be, and why it is necessary to have the right attorney handling a bankruptcy. Knowing and applying different portions of the various federal and state laws related to bankruptcy can mean the difference between paying more or less, or even in having debts discharged. If you are considering filing for bankruptcy in California, contact us. At The Bankruptcy Law Center we will answer all your questions and help you understand your rights.